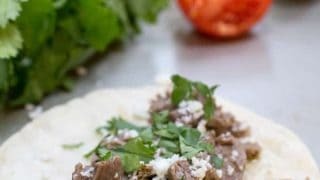 Instant Pot street tacos are super simple and full of flavor. 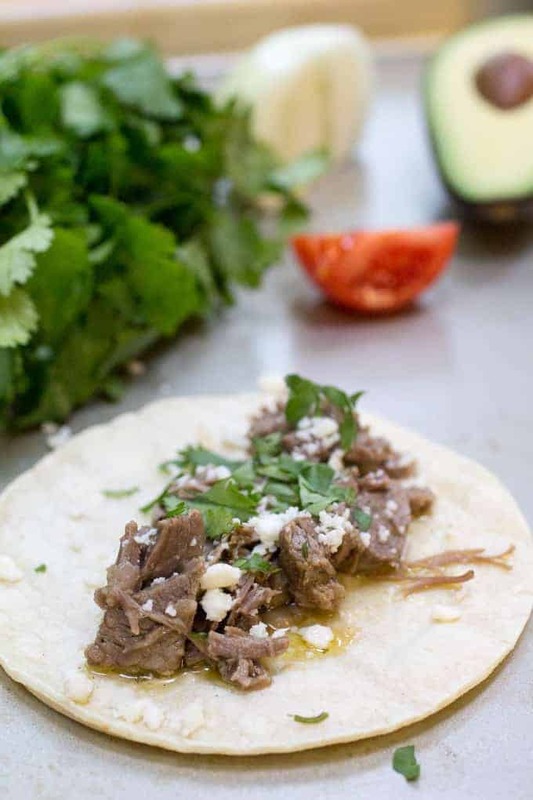 You’ve never had a street taco like this before. 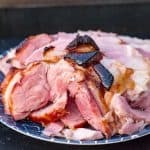 Break out your instant pot and go from here to DONE in under an hour. 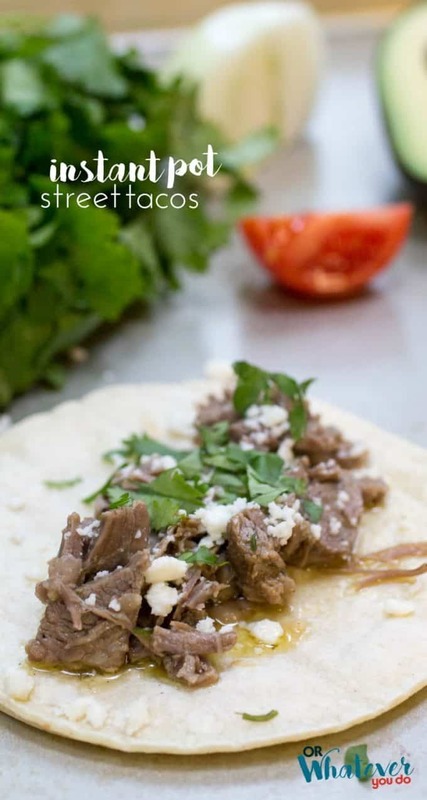 I LOVE street tacos. There’s just something about those tender flavorful bits of flank steak that I can’t get enough of. And you all know how much I big PUFFY heart my Instant Pot because of my chronic lack of planning, and insanely busy, hectic life. 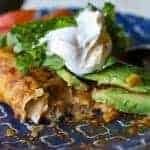 You’ll have seen my Instant Pot love in my Instant Pot Shredded Chicken Tacos, Instant Pot Pork Tenderloin Teriyaki, Instant Pot Shredded Chicken Breasts from Frozen, Instant Pot Pork Ribs, Pressure Cooker Beef Brisket, and these Smothered Shredded Beef Burritos. 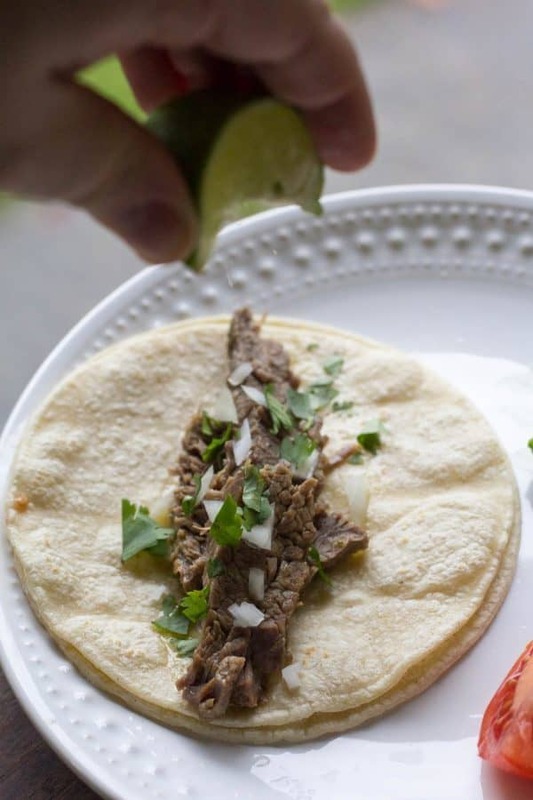 This Instant pot Street Tacos recipe is super easy. 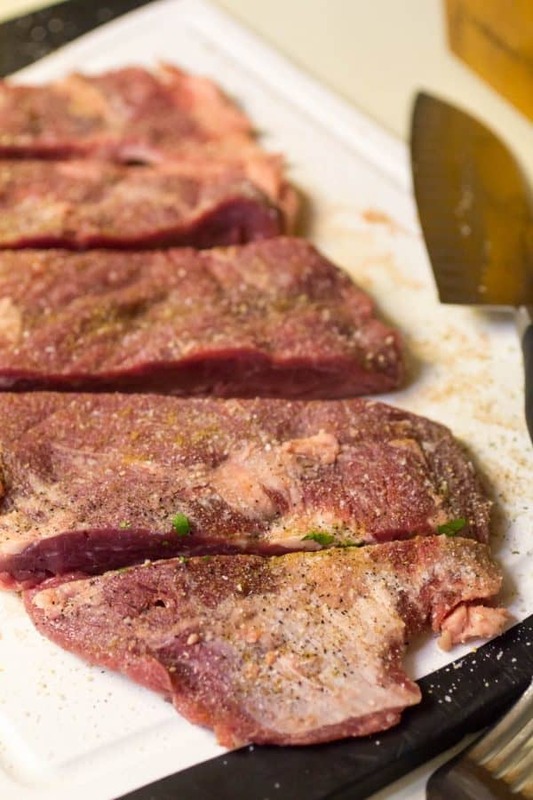 You start by taking your flank steak and seasoning it well and cutting it across the grain into some large chunks. Then stick it into a big baggie, and dump in the awesome marinade. 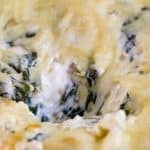 Ideally you’ll let that sit overnight, but 3 or 4 hours will do in a pinch. 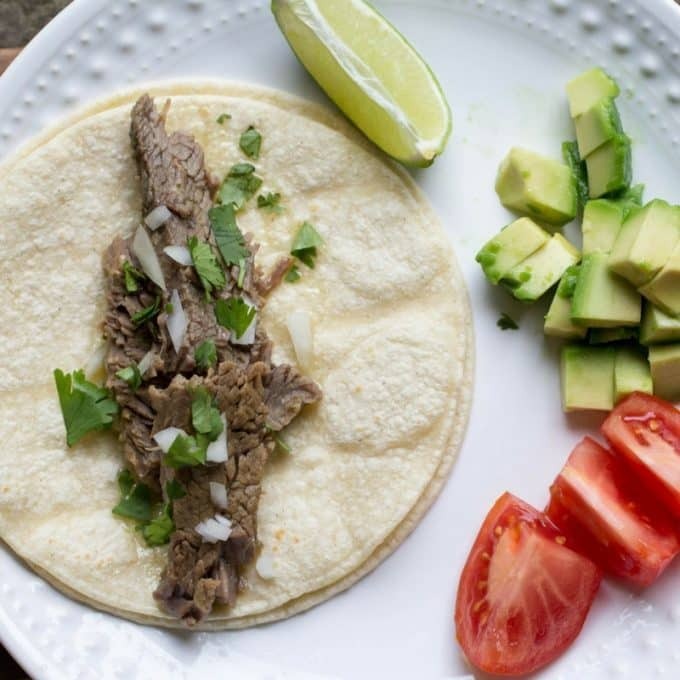 Next it is just a quick 20-25 minutes in the instant pot, and you’ve got super tender, flavorful, and delicious street tacos. 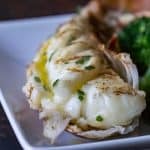 Cut it up into bite-sized pieces, and try not to eat it straight off the cutting board. I dare ya. I like serving these with lightly toasted corn tortillas, a few finely diced onions, and lots of cilantro. Like, a LOT LOT of cilantro. It is my favorite. 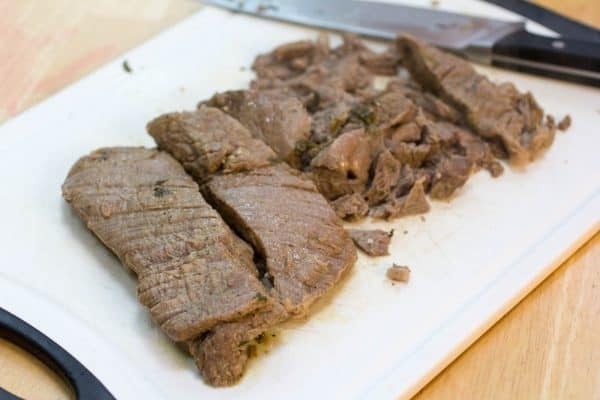 Tender, flavorful flank steak marinated and then cooked quickly in an electric pressure cooker. Trim the extra fat off of the flank steak, combine all of the dry rub ingredients, and rub all over the steak. 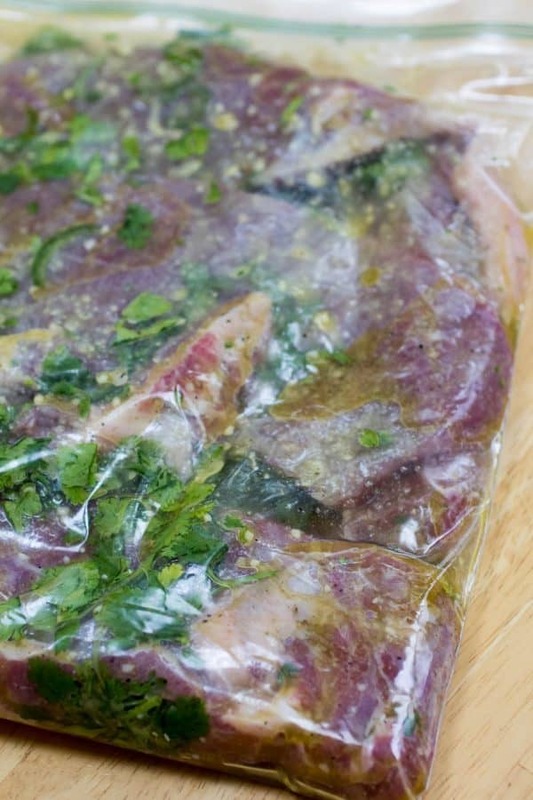 Cut the flank steak into a few pieces, place it into a large baggie, and add in all of the marinade ingredients. 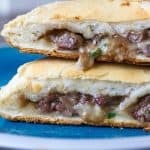 Refrigerate overnight at best, or 3-4 hours at least. 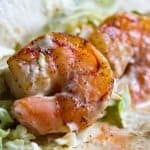 Remove the baggie from the fridge, place into your instant pot, and pour in the 12 ounce can of beer along with all of the marinade ingredients from the baggie. 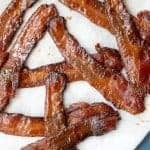 Close the Instant Pot, and set to Manual and 25 minutes. After the timer has gone off, manually vent the pot and check the tenderness of the steak. You want it to be tender, but not "fall-apart" tender. If it needs it, put it in for another 5 minutes of cook time in manual mode. 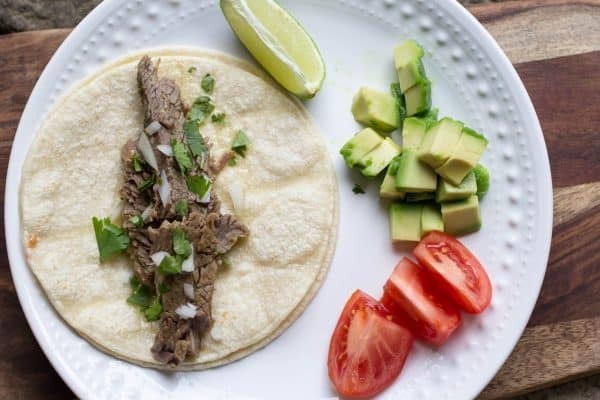 Remove the flank steak from the pot, chop into bite-sized pieces, and serve with cilantro, onion, lime, and corn tortillas. I would swap out the vinegar for Soy Sauce… then it would be authentic to my family! Love the rest of your recipe though! 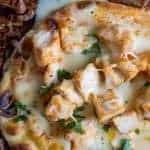 Is this spicy with the jalapeno? I personally love jalapeno/spicy, but I’m having family over that doesn’t do well with spicy foods. I’m not sure if it would make it spicy enough that I need to leave it out or make two batches. It didn’t. All of my kids ate it, including the toddlers who think that the packet of mild taco seasoning is “spicy”, and my 2 year old just described a perfectly ripe peach as “spicy” the other day too. 😉 BUT, your milage may vary depending on how spicy your jalapeno is. I might have had a particularly mild one. If you happen to get a spicy one, your family might be in trouble!